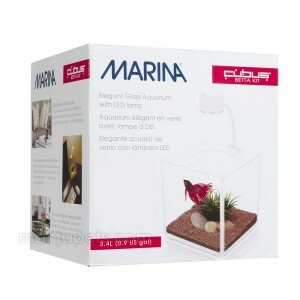 The Marina Cubus Betta Kit contains everything you need to keep bettas in a comfortable and attractive setting. 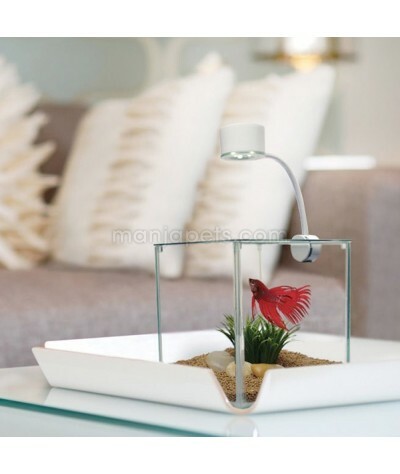 The elegant glass aquarium brings a stylish decorative element to homes or offices. 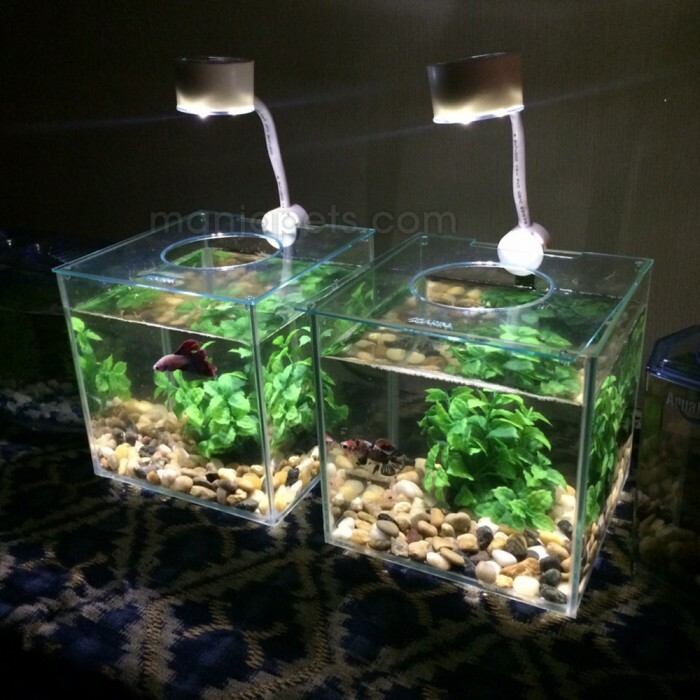 The aquarium comes with a flexible, energy-efficient clip-on light with 3 powerful LED lights that vividly enhance betta colours. 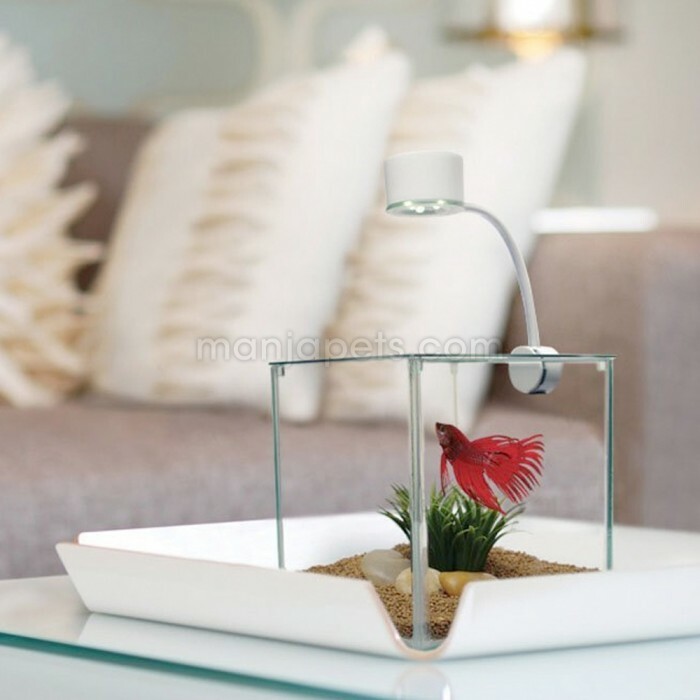 The cover has an opening for breathing and easy access to fish. 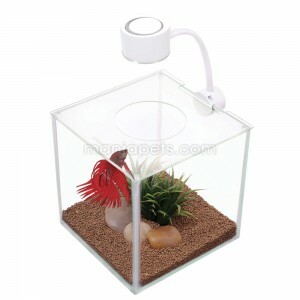 The pedestal base protects surfaces from damages. The kit comes complete with a 3.4 L (0.9 U.S. gal) glass cube aquarium with cover, base and ultra modern LED clip-on light. 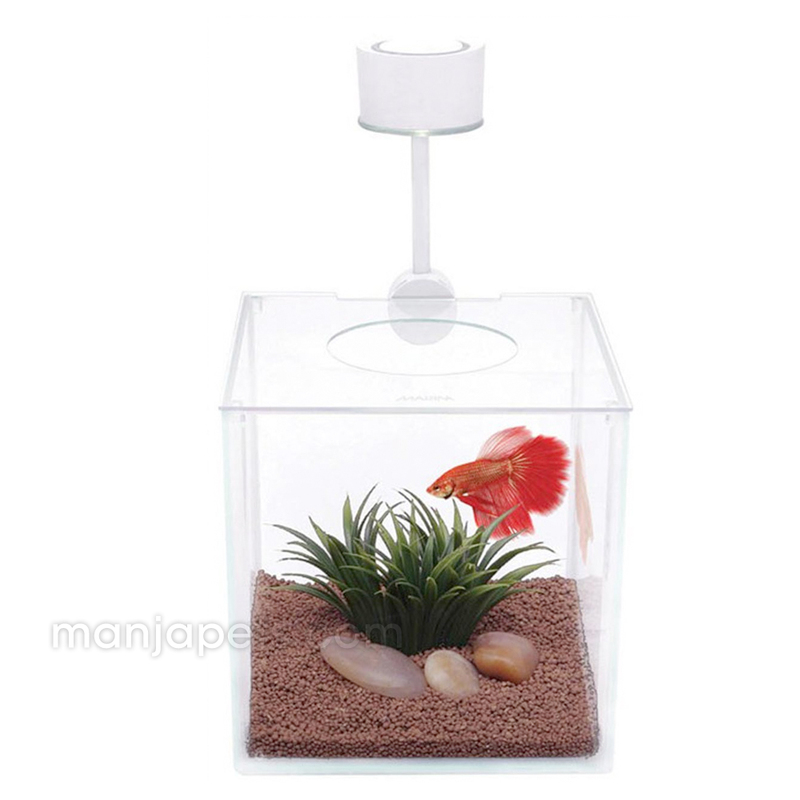 Aquarium size: 15 x 15 x 15 cm (5.9 x 5.9 x 5.9 in).